Please Note: Due to the nature of Iceland's hotel reservation system, which prevents us from confirming space well in advance of our departure date, the hotels listed below are meant as samples of the kind of accommodations we will use during the itinerary. Final hotel details will be confirmed approximately 4-6 weeks prior to departure and will include the same or very similar properties. 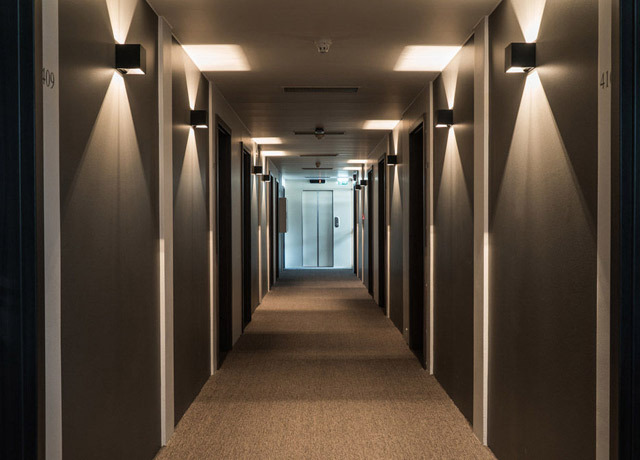 Set in the vibrant art district of the world’s northernmost capital, the Icelandair Reykjavik Marina Hotel enjoys an expansive ocean view from a newly renovated building on Reykjavik's busy harbor. 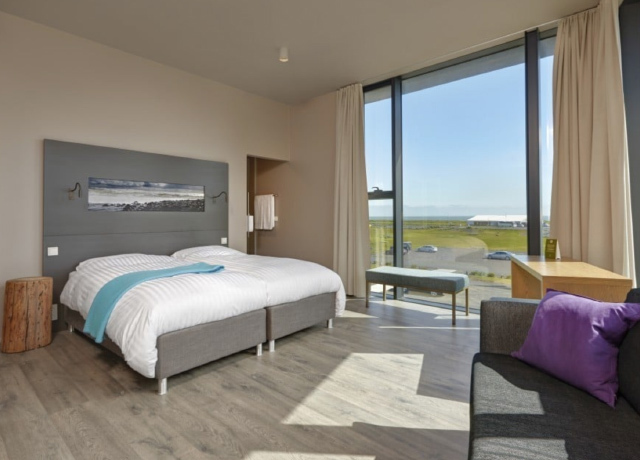 From its vast, open setting in the Mydalur Valley on Iceland's south coast, just a few minutes' walk from the beach, this elegant new hotel offers views over the sea and Reynisdrangar basalt sea stacks. 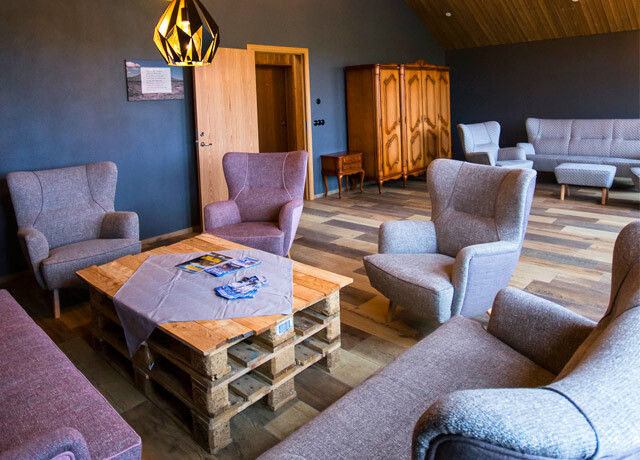 Optimally located between Skaftafell and the glacier lagoons of Vatnajokull National Park, this new 4-star hotel offers convenient access to many of the south coast's premier natural sites. In remote Modrudalur, on the highest farm in Iceland at 1,539 feet, two separate guesthouses with traditional sod roofs accommodate seven guests each, with a coffee house and restaurant on the premises. Designed by award-winning architects, this modern hotel's hillside location overlooking Lake Myvatn offers the ideal location for exploring this volcanic area rich in geological wonders and migratory birdlife. Centrally located in the Westfjords' main town, the hotel's simple accommodations offer a minimalist modern Scandinavian aesthetic and views across the bay of Isafjardardjup. 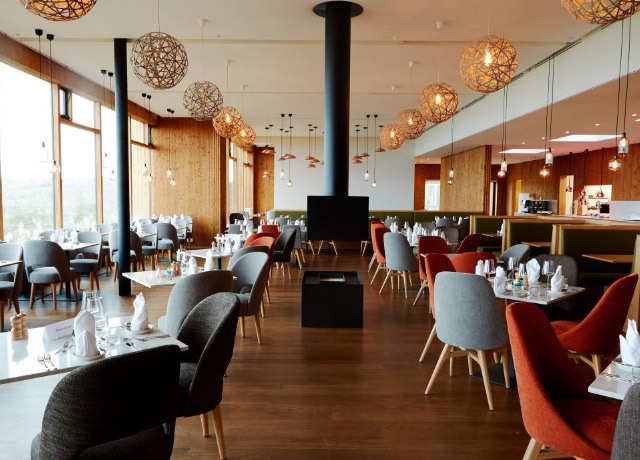 Set in the vibrant art district of the world’s northernmost capital, the Icelandair Reykjavik Marina Hotel enjoys an expansive ocean view from a newly renovated building on Reykjavik's lively harbor. Watch the boat traffic go by just outside, or make an easy walk into the heart of town. Merging contemporary Icelandic design with references to the country’s strong maritime tradition, this character-rich four-story hotel houses 108 spacious rooms decorated with local art, nautical decor and whimsical colorful touches. Chic rooms overlooking the city or marina have comfortable plush furnishings, flat-screen TVs, private bathrooms with shower, and Internet access. The lobby’s cozy seating area and fireplace create a welcoming atmosphere ideal for relaxing over a drink or mingling with guests from around the world. Other amenities include a gift shop and a gym with a climbing wall. A hearty breakfast is served at the Slipp Cafe. For our guests who arrive prior to the start of their trip, or who may add on an extra day or two at the end, they may also enjoy lunch, dinner, brunch or drinks at the lively Slippbarinn, a fine restaurant and bar serving creative drinks and an array of dishes featuring local seafood and fresh-baked flatbreads. The new Kaffislippur cafe serves delectable cakes, coffee and homemade breakfast and lunch delicacies. 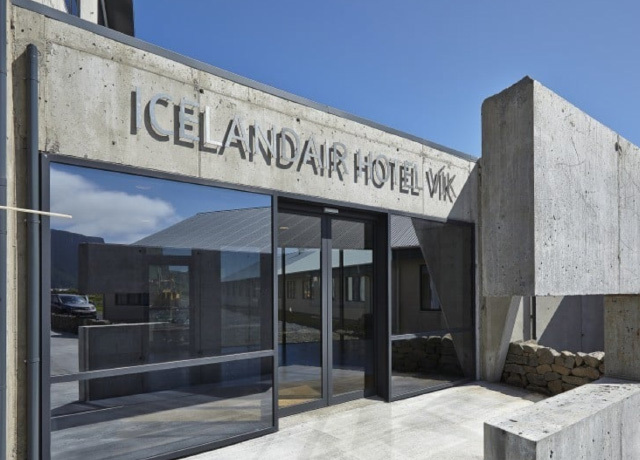 From a vast, open setting in the Mydalur Valley on Iceland's south coast, just a few minutes' walk from the beach, Icelandair Hotel Vik offers views over the sea and Reynisdrangar Pillars. Incorporating elements of concrete, basalt and wood, the elegant new hotel exudes an ambience in keeping with its striking natural environs. Extensive use of glass and natural light bring the outside in, while the serene color scheme—gray, taupe, beige, dusky blue and aqua—evokes the natural realm beyond. The rooms in the main building have been exquisitely designed and furnished by Icelandic architect Gudbjorg Magnusdottir, whose vision was inspired by the nearby surroundings of sea and beach. Guest rooms have views of the ocean, sea stacks or mountains. All have comfortable king-size or twin beds with lofty cotton duvets, hardwood floors, free Wi-Fi, flat screen satellite TV, phone, desk, coffee and tea facilities, and a large bathroom with walk-in tiled shower. A spacious lounge, restaurant, contemporary bar and small fitness center comprise the common facilities. 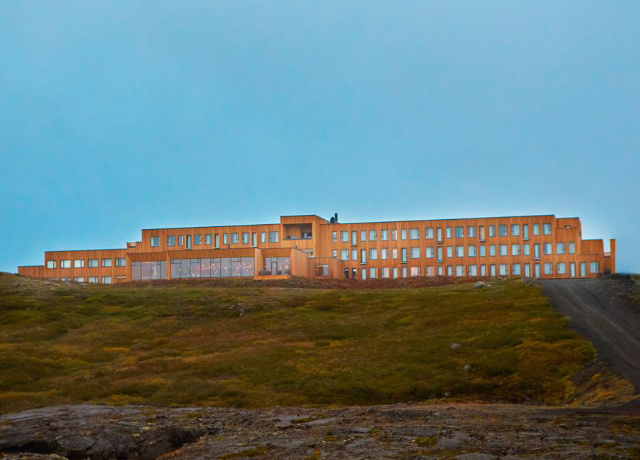 With an optimal location between Skaftafell and the glacier lagoons of Vatnajokull National Park, this new 4-star hotel offers convenient access to many of the south coast's premier natural sites. Its wide-open location at the base of a mountain offers uninterrupted views of the rocky backdrop and moss-covered lava fields, showcased through panoramic walls of glass in the common areas. The property's architecture and decor define Scandinavian modern, with clean lines, a neutral palette and bold, artistic fixtures and furnishings. Plaid blankets in bright yellow and gray add a splash of color to the guest rooms, which have mountain or ocean views. High ceilings and large windows lend a feel of expansiveness. Large, contemporary bathrooms have a stone soaking tub and/or walk-in shower and a contemporary black free-standing basin. 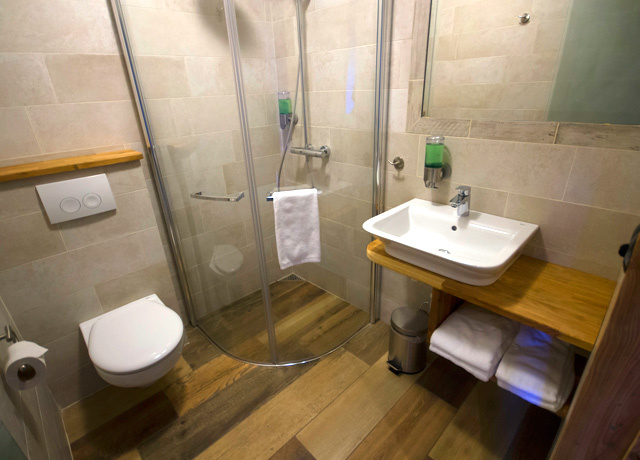 Amenities include free Wi-Fi, satellite TV, phone, safe, coffee- and tea-making facilities, and a hair dryer. 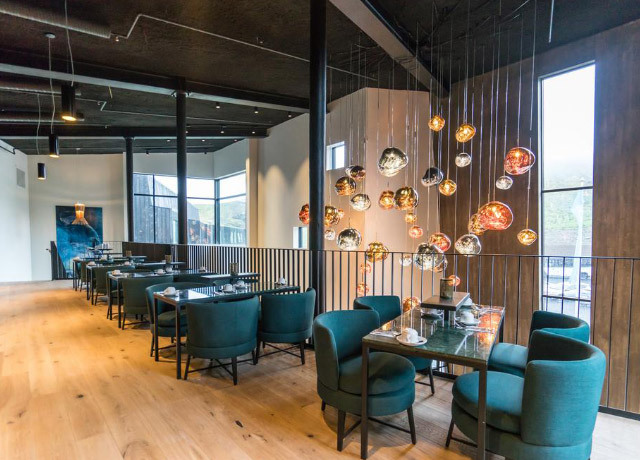 The stylish restaurant serves innovative Icelandic and western cuisine, prepared and presented with creativity. 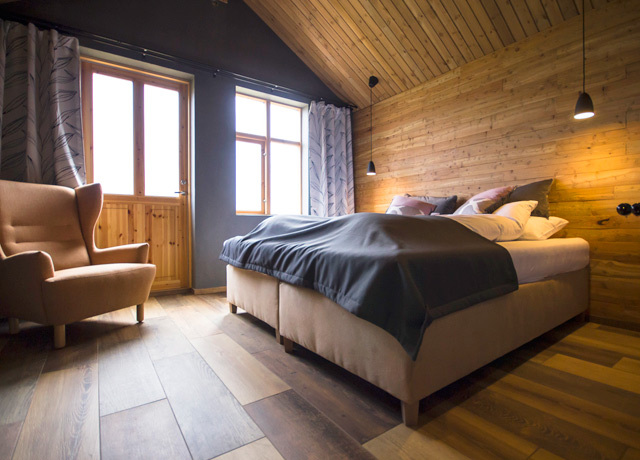 Country guesthouses are the most common form of accommodation in Iceland's rural regions, offering simple, comfortable furnishings and warm hospitality. 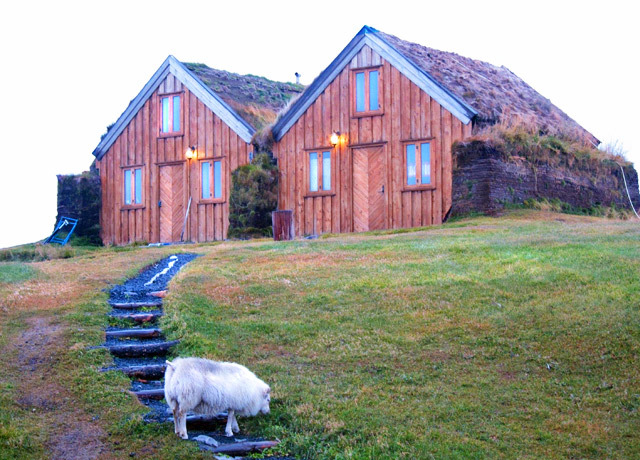 Fjalladyrd Guesthouse enjoys a remote location in Modrudalur, the highest farm in Iceland at 1,539 feet and one of the earliest settled areas in the country. The name "Fjalladyrd" means "mountain beauty," and it's an apt description its location in the highlands north of Vatnajokull Glacier, with the snowy summits of the Kverkfjoll Mountains visible on clear days. 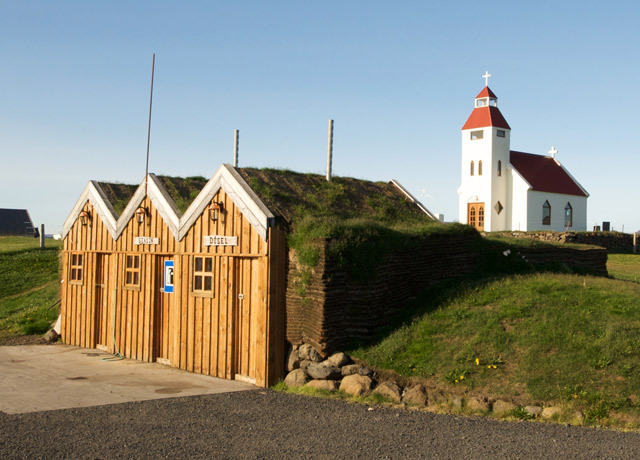 Though simple, our accommodations offer a peaceful setting and authentic taste of rural Icelandic life, not to mention proximity to the nature sights we visit in the region. Two separate houses with traditional sod roofs accommodate seven guests each in single and double rooms with private bathrooms and showers. Knotty pine walls and rustic country decor lend a cozy ambience, while a log fireplace in the living room invites relaxing. Fjallakaffi is the guesthouse's coffee house and restaurant on the premises, whose traditional specialties include home-baked cakes, Icelandic donuts called "kleinur," and the hearty lamb and vegetable soup that is an Icelandic favorite. On the surrounding farm, guests may see elements of traditional Icelandic rural culture, including turf houses, grazing sheep and sustainable, low-tech farming operations. This modern hotel's hillside location overlooking Lake Myvatn offers the ideal location for exploring this volcanic area rich in geological wonders and migratory birdlife. Built in 2017 and designed by award-winning architects, Fosshotel Myvatn features almost exclusively low-environmental-impact materials. The low-rise building is clad with larch wood and a sod roof, creating harmony with nature. Interiors blend natural fibers in gray, taupe and orange with warm woods to create an aesthetic that is contemporary yet cozy. Furnishings include mid-century modern chairs and button sofas, and beds have heavy cotton-clad European-style duvets keep guests warm at night. Rooms have free Wi-Fi and flat screen TVs. 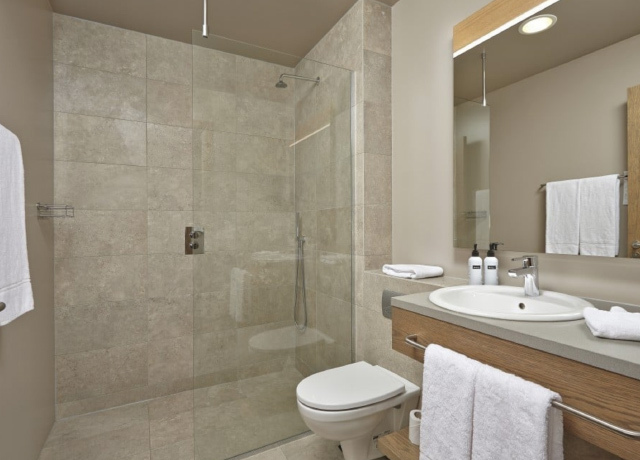 Bathrooms have glass walk-in showers with overhead rain showers and handheld showerheads, as well as towel warmers and hair dryers. Floor-to-ceiling windows in the restaurant offer views over Lake Myvatn and the surrounding lava fields. 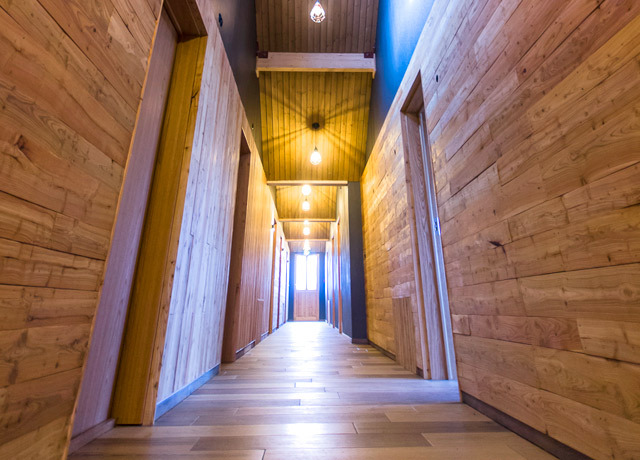 Centrally located in this small port town that is the commercial center for the Westfjords, Hotel Isafjordur offers simple, modern, clean-lined accommodations with a minimalist Scandinavian aesthetic. A light neutral palette of gray, beige and white provides tranquil surroundings. Rooms overlook the inner harbor or offer a view north across the bay of Isafjardardjup. Room amenities include showers, hair dryers, television, telephone, free Wi-Fi and coffee maker. A deluxe continental breakfast includes a wide selection of cheeses, cold meats, bread, hard-boiled eggs, cereals, yogurt and juices. 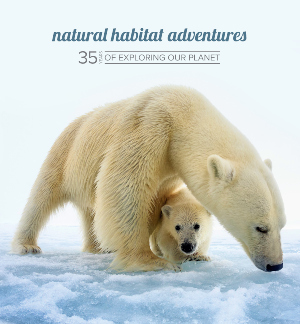 Fill out the form below to receive additional information about our 'Round Iceland or give us a call at 800-543-8917.